Lanseria Country Estate Deluxe units are our most luxurious units. These spacious units either situated on the deck, or set in the estate's gardens and have their own private patio. Each unit has a king-size bed (or two singles on request), its own dining area and full bathrooms (bath, shower, toilet and basin). The deck rooms have a sleeper couch that can fold out to accommodate two small children (under the age of 12), or one adult. The deck rooms have self-catering facilities, and room service is available on request. Or visit our fully licensed on-site restaurant @ThePlace2B. Self-catering facilities: Microwave, Hob, Bar Fridge, Cutlery, Crockery. Sleeps 2, dining area can be converted to sleep 2 children under the age of 12. The Universal Access Unit is situated on the southern side of the estate. Each unit has a small patio and private garden. These rooms do not have self-catering facilities, although they are equipped with a bar fridge and microwave for your convenience. Breakfast is included in the room rate and room service is available on request. Every consideration has been taken with our Universal Access Unit, which is equipped with hand rails, and is wheel-chair friendly. While our estate is wheelchair friendly, this is a country setting. Please ask one of our friendly staff should you require assistance in getting around. Either King-size or 2 single beds. Based on 8 traveler reviews. Based on reviews of establishments, Lanseria Country Estate has been voted Best Value for Money in Lanseria for 2016. 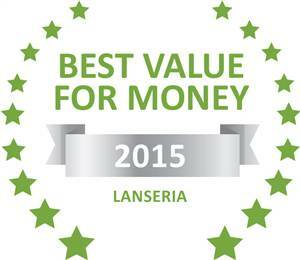 Based on reviews of establishments, Lanseria Country Estate has been voted Best Value for Money in Lanseria for 2015. 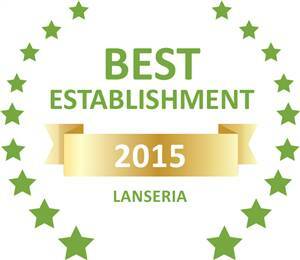 Based on reviews of establishments, Lanseria Country Estate has been voted Best Establishment in Lanseria for 2015.